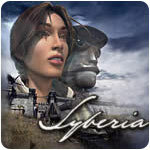 Syberia - Part 1 Game - Download and Play Free Version! A Classic Point and Click Adventure Game! Get ready to investigate a peculiar mansion and search for a missing inventor in this thrilling adventure game! You'll play an ambitious character named Kate Walker who begins a life-changing journey across Europe. On the way, you will interact with a variety of characters, examine an amazing environment, and solve original and creative puzzles. As an interactive experience for anyone who has a taste for adventure or who enjoys puzzle-solving and memorable characters, Syberia definitely takes you on a gaming experience that is out of the ordinary. Kate Walker is a resourceful lawyer who is given an assignment involving closing a deal for her law firm that would allow them to gain control over a centuries-old automaton and toy company. The owner of the toy factory dies shortly after Kate arrives and a straightforward assignment suddenly takes an intriguing turn. She learns that the owner of the estate has an heir that was presumed dead, but may actually be missing somewhere in Siberia. Kate must now search for this missing heir and delve into a world filled with mystery and intrigue. Syberia is a third-person adventure game as you control the character of Kate Walker with your mouse and are able to interact with everything in her environment. The hand icon indicates that you can grab an object and can store it in your inventory. When you see a magnifying glass, you can take a closer look at a particular item or area. The speech icon lets you know that you can interact with and speak to a certain character. Throughout the game, you will experience beautiful environments that are visually engaging. The locations you visit are filled with statues, ancient buildings and complex automatons and machines. 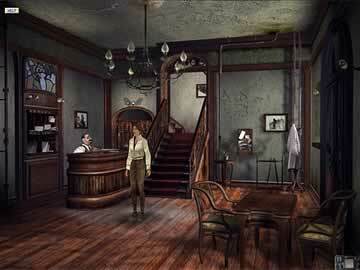 You will also uncover additional details to the main story of Syberia through interactions with locals in the area. This keeps you actively engaged in the game as you are able to choose a series of conversation topics for each person you speak to. Puzzle solving is a huge component of Syberia. Since the environments in this game are incredibly detailed, you must carefully examine your surroundings to discover the puzzles and their solutions. You can expect a variety of puzzles that will put your skills to the test. For some puzzles, you must locate a key that is needed to make a particular machine function. Others require you to draw pictures, gain the favor of the locals or earn a certain amount of money. You can also access a cell phone in your inventory. While you will occasionally need to make calls throughout the game, you will mostly be receiving calls at various points in the game.